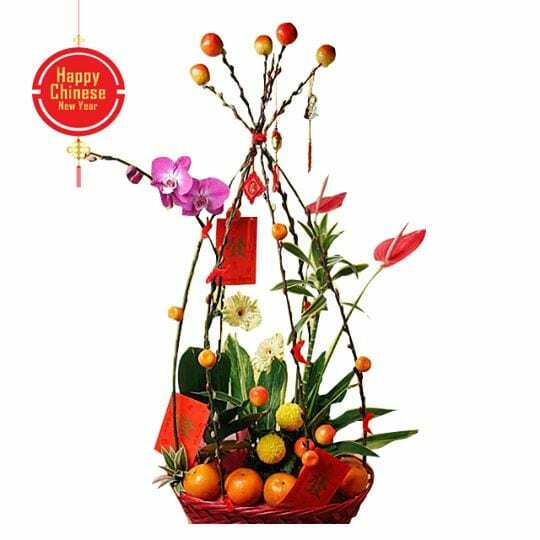 Chinese New Year hampers are one of the best ways to wish everyone good luck, good health and good cheer for the New Year. Gift a hamper and watch their faces light up with a smile. In fact, there are customized hampers to gift almost anyone from family, seniors, colleagues and clients to friends. 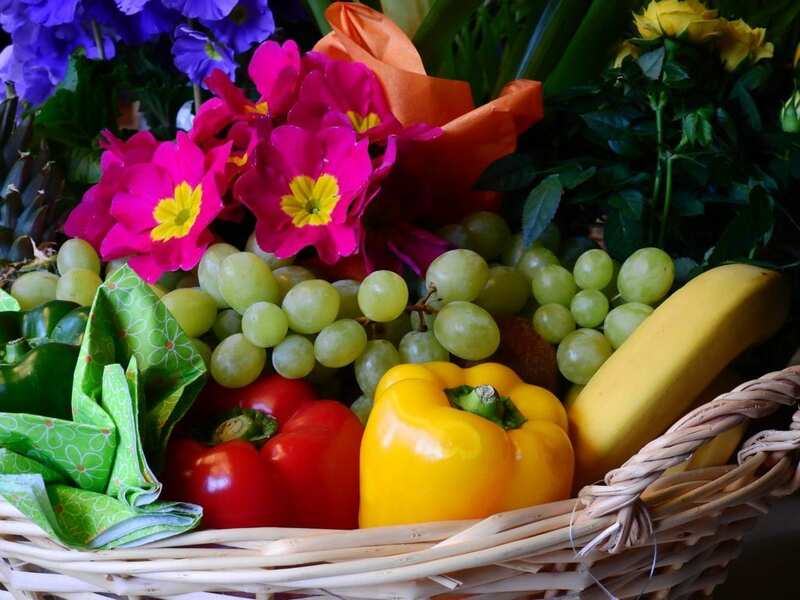 For the more health-conscious, there are even hampers with 100% organic produce hampers. With Valentine’s Day not too far away from Chinese New Year, hampers can be romance-inspired with flowers and fruit hampers for her. In contrast, select a green-fingers hamper for the very special him. For those on a tight budget, it’s best to opt for DIY hampers where you can whip up a surprise hamper by yourself and it wouldn’t cost more than RM50. Best of all are the festive hampers created to bring prosperity to others. Proceeds are channeled to help the needy in the community. Here is the handy guide on where to get your Chinese New Year hampers to usher in an auspicious year. Happy shopping! Send a Bucket of “Kam” (gold) to your loved ones this year. And you’ll be sending a bucket of compassion, hope and inspiration to the House of Love, a home for orphaned children. The House of Love was established in 2012 to provide shelter and a conducive environment to support the physical and mental well-being of needy children. With each bucket priced at RM16.80, Eu Yan Sang will donate part of the proceeds to this home. Further, Eu Yan Sang has been making special contributions from their Buckets of Gold sold for the past 15 years. In addition to sharing blessings with those in need, Eu Yan Sang has a wide range of Chinese New Year hampers to fill your year with joy. 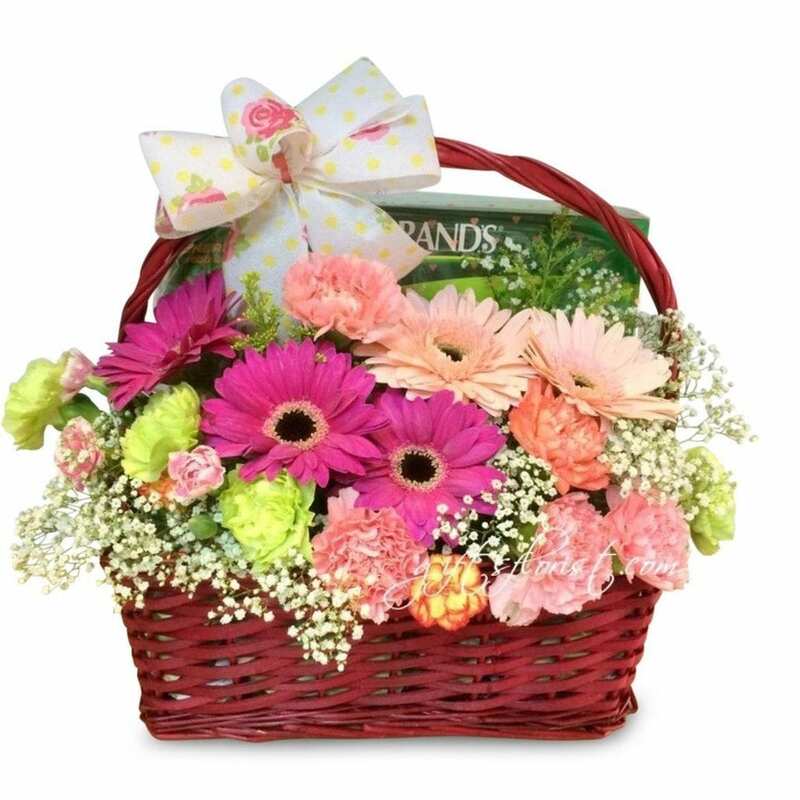 Select from hampers aptly named Gifts of Luck, Symphony of Spring, Rising Prosperity and Colourful Blossoms. The hampers are priced from RM98. What makes Eu Yan Sang unique are their specialty hampers. These range from their Bird’s Nest series, Chinese Herbal Soup series and Marine Delicacies that include their famed cans of abalone, clams and fish maw. With retail stores in all major cities across West Malaysia and East Malaysia, you can easily pick up the hamper of your choice. Don’t miss out the special Year of The Boar packaging for selected products. Especially for gifters whose New Year’s resolution is to keep healthy, these 100% organic hampers from Koyara are the perfect choice. 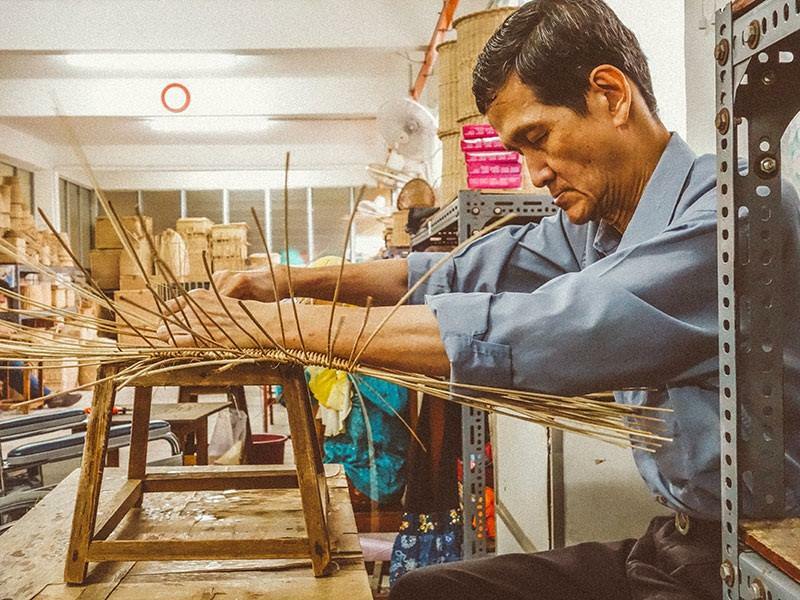 Koyara is the brainchild of Mon Fong and Ian who saw the growing demand for accessible organic and natural products. This go-to online health store has produced Chinese New Year selections packed with best quality products that are all-natural and all-organic for healthy lifestyles. Better yet, Koyara helps you choose your hamper by categorizing your recipients. Pick the right hamper for friends and colleagues, seniors, business partners, friends and relatives. The Joyful Treats hamper priced at RM98 has brown rice crackers, Koyara natural trail mix, Amazin’ Grace matcha green tea granola and Hazelnut Blackforest granola, plus 2 packs of Love Earth organic pocket chia seeds. With hamper prices in the below RM100 range to RM100+, RM200+ and RM300+ hampers, select from a wide range to suit a wide variety of tastes. Free shipping is available for purchases above RM350, whilst a RM15 fee will be charged for orders below RM350. Let prosperity bloom all year when you give the gift of flowers. 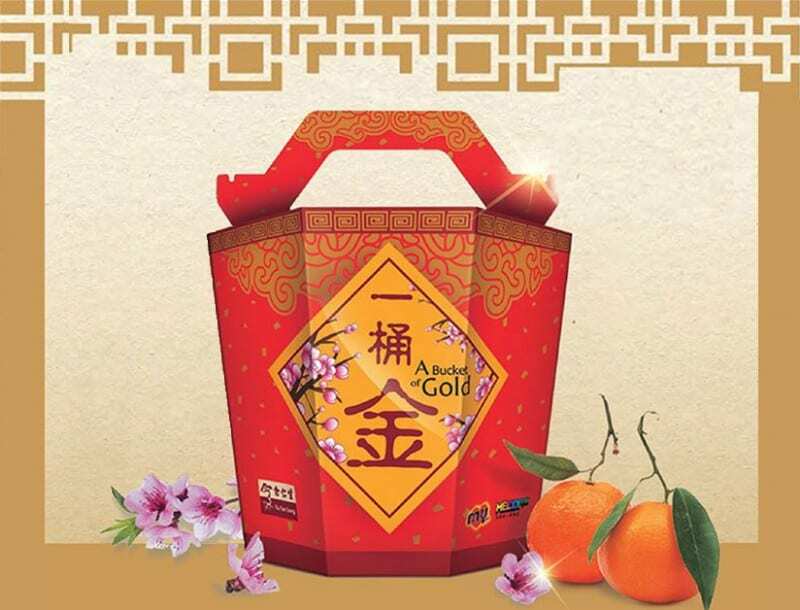 For Chinese New Year, floral blossoms with gifts make perfect hampers. What better way to surprise the amazing lady in your life than to gift her a floral hamper from Flower Chimp. Lovely bouquets and festive treats make this New Year extra special, especially with Valentine’s Day just days away. Priced from RM88, there are many choices with prosperous names line Blessings of Harmony, Blossoming Wealth and Trinity Box. 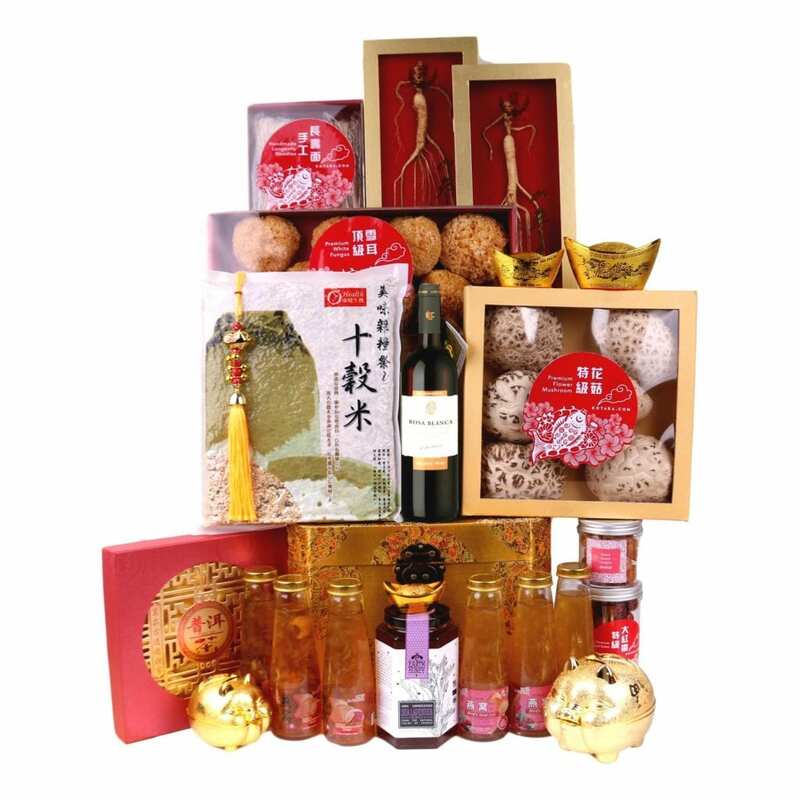 Also available are the luxurious collections of Chinese New Year hampers with quality products sourced from all over the world. All prices include delivery charges. Best of all, Flower Chimp can arrange for same-day flower delivery for selected locations. Shop online at Flower Chimp and earn up to 7.5% cashback via ShopBack. Look out for Flower Chimp promo codes to score even more amazing discounts. What makes Flower Advisor stand out from the rest is their delivery service to more than 100 countries, same-day delivery to select destinations and 24-hour customer service. That’s why they are a top-rated online florist. Flower Advisor’s impressive range of festive gifts makes shopping truly convenient. A wonderful combination of flowers and all-time favorite cookies or fruits of prosperity make their hampers well-received. Priced from RM175, their recommended packages are sure to please. Shop online at Flower Advisor and earn up to 6% cashback via ShopBack. Not to be missed are the Flower Advisor vouchers to enjoy even more savings. 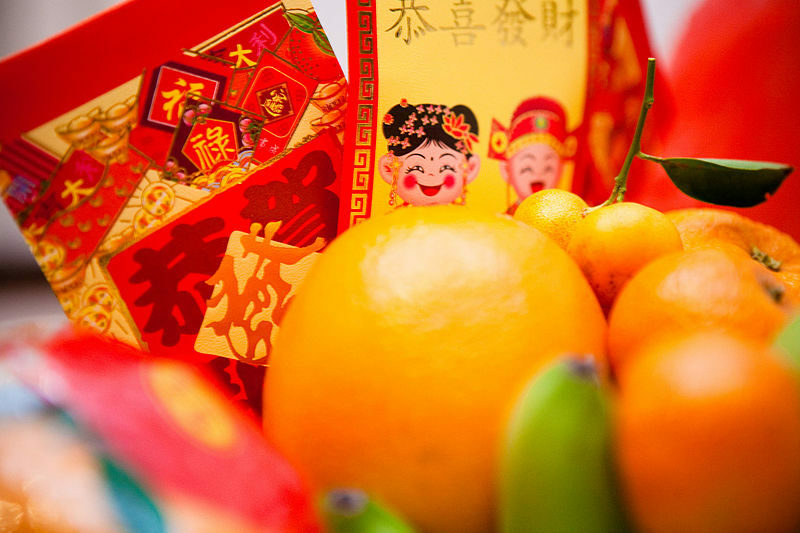 Grow your good fortune with a CNY hamper from Eats, Shoots & Roots. 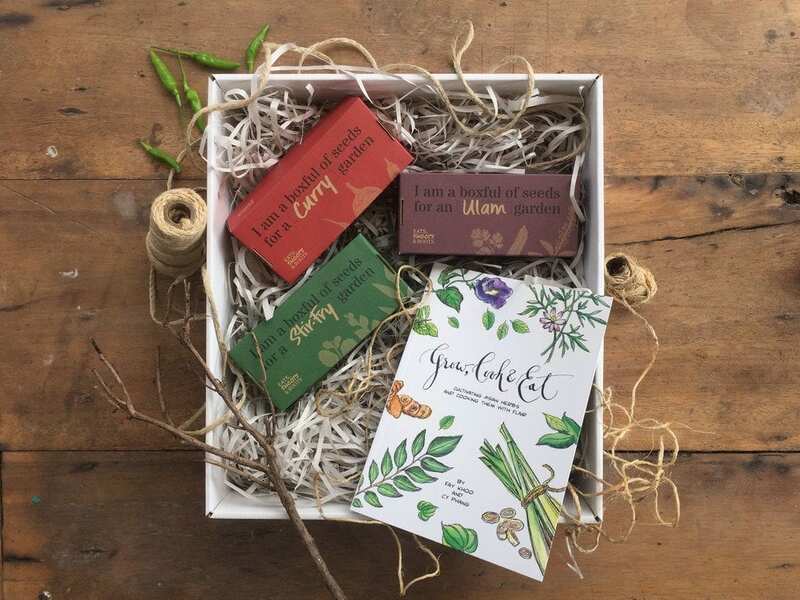 Breaking away from the traditional gift hampers, the specially created Microgreens Kit at RM28 and Planter Box at RM58 has all the essential needed to grow your “Ong” and cook your “Ong”. Also available is their Grow Box Gift Hamper priced at RM120. It has 3 seed boxes for “ulam” (traditional salad), curry or stir-fry, packed in specially selected vacuum-sealed boxes. These seeds are easy to grow in tropical climates. In addition, the hamper contains a Grow, Cook & Eat book plus one special super large saving box. True to their call of growing communities through growing food, Eats, Shoots & Roots has gift hampers that make the planet a greener Earth. When in need of more “atas” inspired hampers, give the gift of quality cookies and chocolates from Marks and Spencer Malaysia. 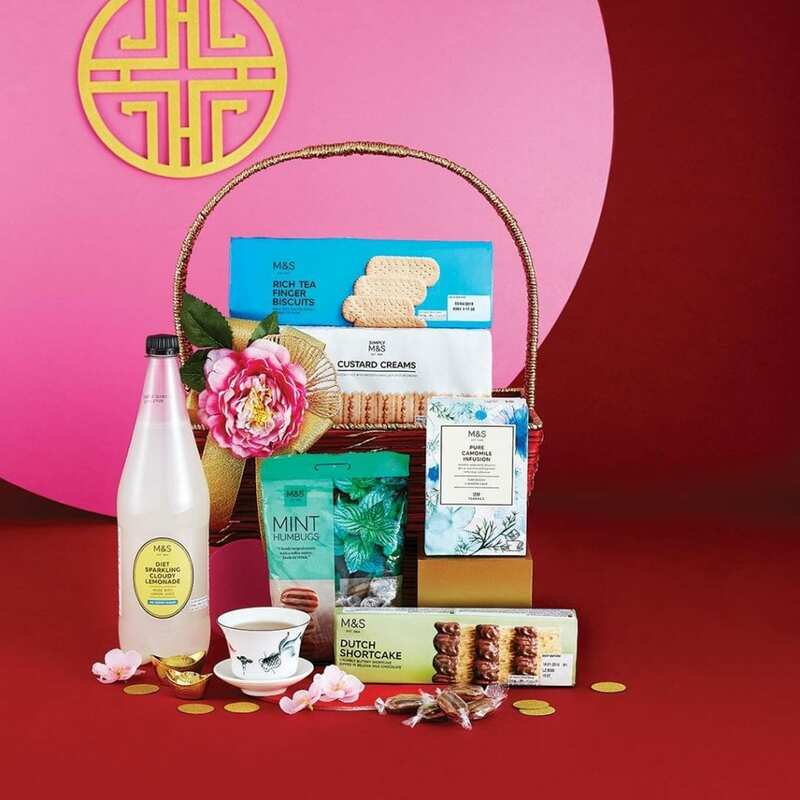 The Leaping Fortune hamper is packed with goodies and affordably priced from RM100. 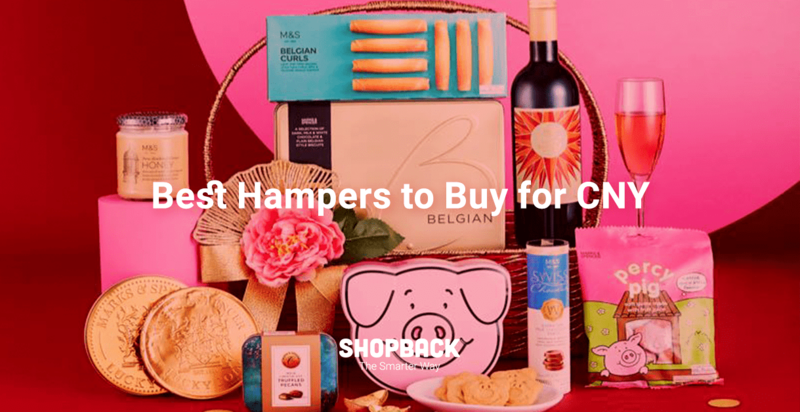 Contents include All Butter Scottish Shortbread, Swiss Milk Chocolate Truffles, Belgian Biscuit Collection, Sparkling Normandy Apple Juice and much more. Select from a delicious range of hampers created to match every budget. 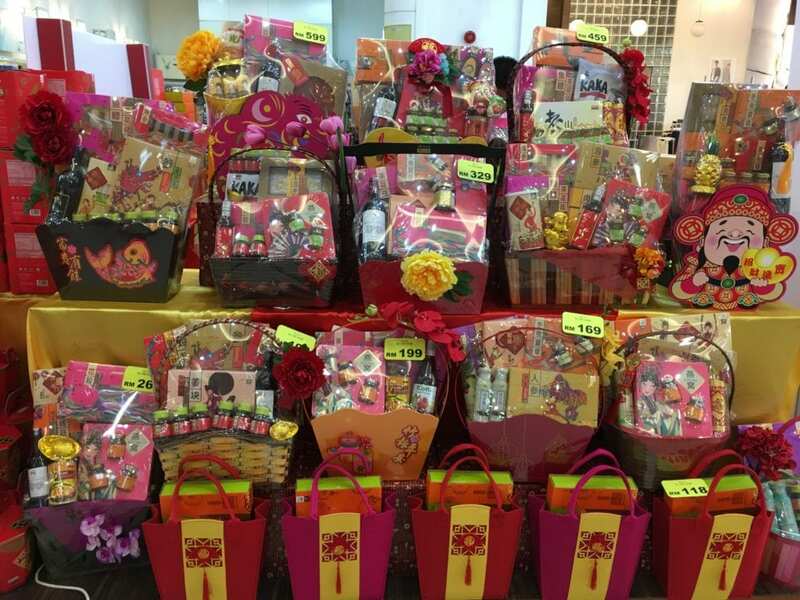 These baskets of delights can be found in Marks & Spencer stores at all major cities across Malaysia. 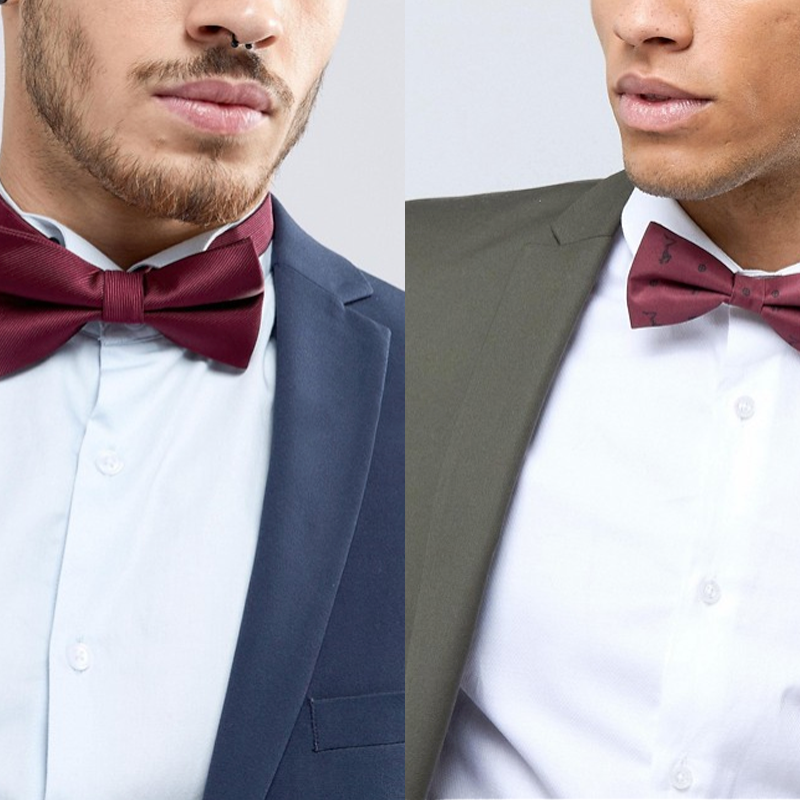 You can pick them up in-store or arrange for delivery with a requisite minimum purchase. Why shy away from creative Do-It-Yourself hampers when it can save you loads of money and hassle? The easiest way to pack a hamper is to get a creative festive carrier. It can be a basket, bag or box of your choice. Then load it up with mandarin oranges and home baked or store-bought cookies. The best way to find these carriers is to visit JARO (Johor Area Rehabilitation Organisation). JARO is an organization that provides training and workplace for OKU’s (orang kurang upaya) around Johor Bahru. 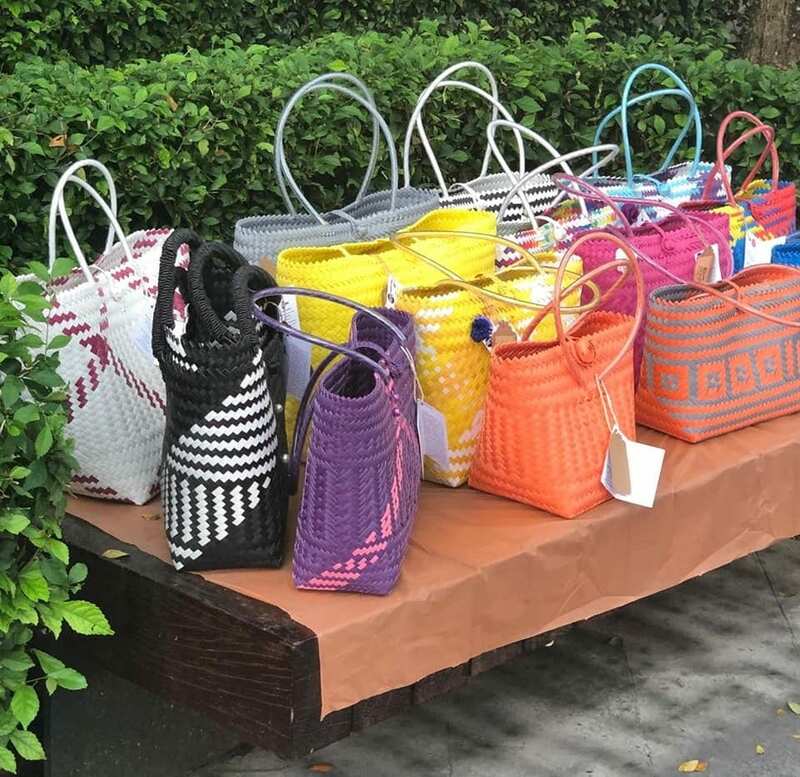 They specialize in custom-made handicrafts created by the physically, intellectually and visually challenged. 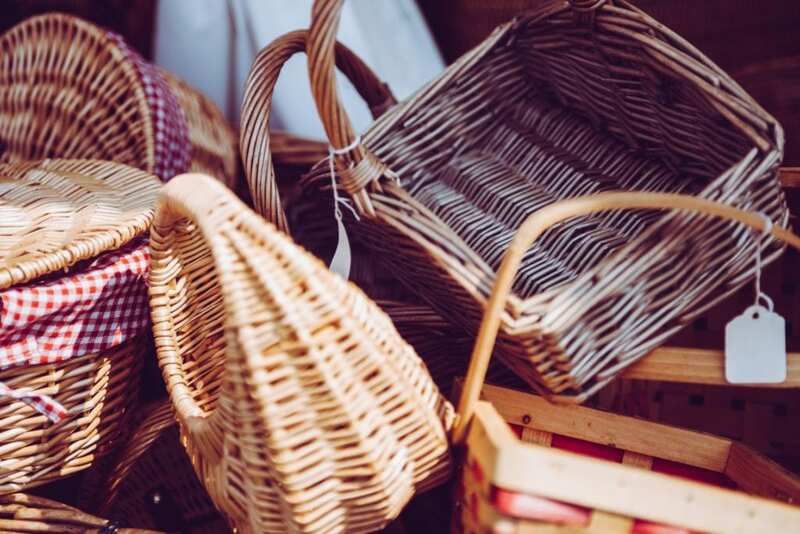 Have a look at their online store and discover lovely hand-crafted cane baskets that would be perfect to pack your mandarins and cookies to gift guests. Ready-made festive boxes and bags are also beautifully created to place your goodies in and craft your own personalized hamper. Moreover, cane baskets with handles are priced from RM16 and festive boxes start from RM42. So, shop and spread prosperity to all this New Year. Shower your guests with love and prosperity from Care United Johor Bahru. It’s easy when you know how. Simply pick up the specially designed mandarin oranges basket from them, place your oranges in and gift your guests. Better yet, pick up a hand crafted festive bag and place your goodies in to gift friends and family. 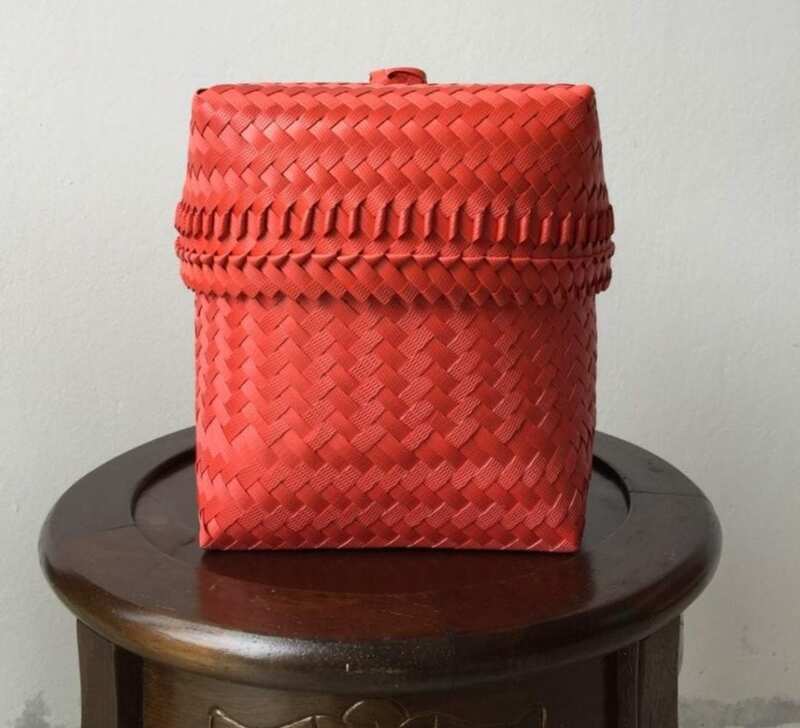 Each product is hand-made by Sarawakian Tribal women and each item purchased helps sustain them and ensure the continuity of their weaving heritage. The charity projects of Care United Johor Bahru are supported by the proceeds from these products. Such projects are in aid of children’s charities, senior citizens homes and under-privileged school children. So, shop away and make a difference to the lives of others this New Year. Of course, you can still pick store-bought and commercial gift hampers from your local supermarket and major mall. There’s plenty to choose from. Even easier is to shop online for hampers at Qoo10 and earn cashback of up to 4.5% via ShopBack. Look out for Qoo10 coupons and save a lot more. When gifting comes from the heart, the gift is much appreciated, no matter how small. Tell us more about the best hampers you’ve found. *All images are credited to the article author unless stated so. All information are correct at time of writing and are subject to change without prior notice.